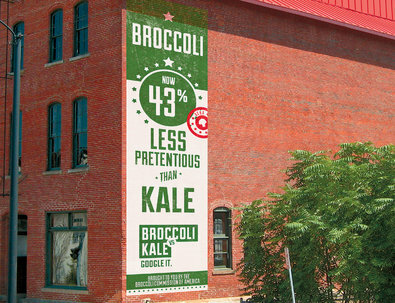 brandflakesforbreakfast: 2013's hottest new product is...broccoli? 2013's hottest new product is...broccoli? Well, maybe not yet, but it will be if the ad agency Victors & Spoils has anything to say about it. This awesome New York Times exposé takes a look at the creative and strategic processes associated with pitching a food item. In this case, humble broccoli. It's really worth the watch.